Service Management Journey: Do you exist in IT Socialism? 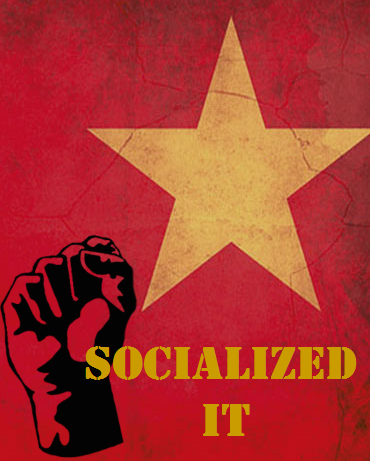 Do you exist in IT Socialism? There was a time when businesses solely depended on IT to be its trusted partner and advisor to ensure that through technology, the business was able to outperform its competitors. Even when an external vendor was used, IT managed them on behalf of the business. Resulting from various possible reasons, the directions of the Business and IT started to move in similar but different directions. Whatever the cause these new directions had their own set of choices which in turn may have inadvertently broadened the gap between IT and the business even further. These course corrections may have even attributed to an impact on the delivery of services to the business without realizing it. Many analysts will suggest that increasingly over the next few years new IT investments will directly involve executives from lines of business (LoB), with LoBs the lead decision makers in half or more of those investments. Vendors, who see these opportunities, are springing up to fill these gaps. Offering cloud based solutions or applications which can be purchased off the shelf and used with ease. Sales and marketing are targeting the business that is looking for just this type of solution but may not be getting anything from their IT department. SIAM is about the business being more agile and competitive which can be accomplished through people, process, partners and products. As always people are the most important part. And fundamentally this is also the component where we “lost our way” to an effect. Relationships and communication are what make this possible. We are on a journey with our business and as such we need to make sure that we are going to the same destination. This doesn’t happen without working together. There is a great deal of perspective to think about when we talk about people, which is why we really need to think in terms of the business outcomes. This will help us to look at things from a business perspective rather than the IT one which has taken us off the same path. Having a solid service portfolio will allow you define expectations through established SLA’s (especially from vendor), while still managing risk. Having this fundamental understanding of the services will better position you to manage contracts and costs for external services as well as those in-house. Understand your services. It may be possible that one service may inadvertently impact another. This is why vendor relationships are so important with regards to SIAM. Communication between all parties will ensure there is minimal impact to your business. Once you understand the service, reporting will allow you to drive improvements to the IT/vendor relationship. As the broker you will need a way to validate not only the reports from internal teams but also from your vendors. Another metric to not forget is that of the customer experience. Putting these all together will ensure we stay on target. Does your business exist in Socialist IT, where your IT department appears to be the only choice? Or, has the business formed some type of shadow IT. If they don’t have one yet they may soon if you aren’t aligning with the business outcomes.